- Max Factor Miracle Touch foundie "Warm Almond"
- SLEEK Curacao Palette "Red"
- MAC lipgloss Wonder Woman Edition "Emancipation"
Maybe you will ask,"You wear lip color for your eye shadow?" YES. OCC Liptar can be used in lips, cheek, and eyes. 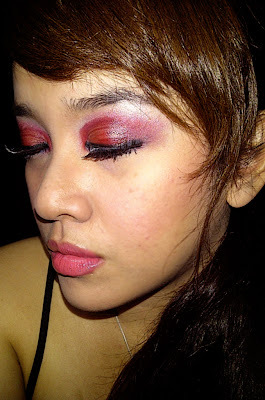 And i apply that liptar red color to add glossy effect on my lids. 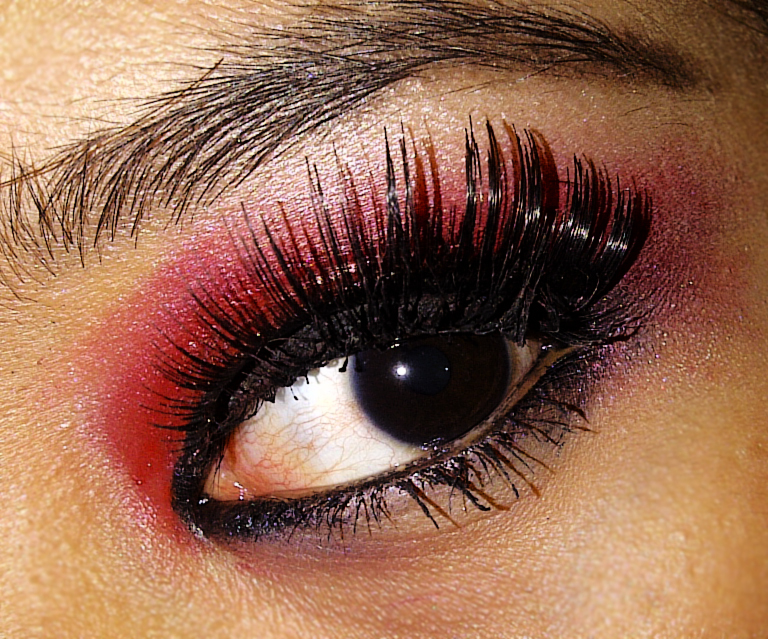 This look perfect for Halloween. 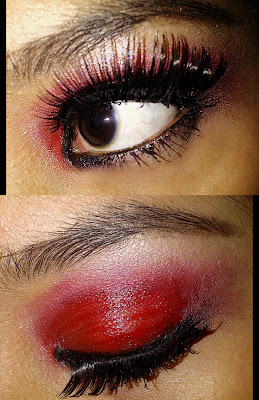 Use a dirty brides gown with the veil and don't forget to bring the red rose flower plus wear this makeup to make your overall looks more dramatic.